[FORT THOMAS, Kentucky – November 14, 2017] To say that a significant milestone was reached this month at OMEGA Processing Solutions would be an understatement. “It is with a great deal of pride, humility and thankfulness to all involved that I announce that the first-ever merchant application using the OMEGAlife online, electronic signature application was submitted,” announced OMEGA President, Todd McHugh. In development for just five short months, OMEGAlife is a URL-based, tablet-enabled solution for OMEGA Account Executives to create real-time pricing proposals and deliver electronically signed merchant applications without paper, faxing, scanning or email. OMEGA partnered with Gaslight, a Cincinnati-based, experienced and agile software development firm, in the development and production of the application. In addition to reducing errors and approval time, the OMEGAlife app also provides enhanced security features. Merchant application information is entered into the tablet device, encrypted and securely transmitted to servers protected by the industry’s most current data encryption software. The Payment Card Industry Data Security Standard (PCI/DSS), which governs the handling of data by all entities within the payment processing industry, is followed throughout the entire process. The result is a faster, more accurate and more secure merchant application process. “Over the coming weeks and months, we will continue to refine and enhance this ‘game- changing’ application in order to cement OMEGA’s status at the forefront of the payments industry and as a company that others strive to become,” continued Mr. McHugh. For more information and a demonstration of the OMEGAlife application, please contact OMEGA Processing Solutions. Founded in 2003, OMEGA Processing Solutions is a premium provider of electronic transaction processing and data delivery. The company offers electronic payments processing, B2B and e-commerce solutions, mobile payments, point-of-sale system integration, short-term capital funding and gift card programs to thousands of businesses across the United States. OMEGA has an A+ rating from the Better Business Bureau and is a member of the BBB Center for Marketplace Ethics. Based in Greater Cincinnati, OMEGA also has regional offices in the Cedar Rapids, Iowa, Columbus, Ohio, and Louisville, Kentucky, markets. For more information, please visit www.omegap.com or call 866.888.9724. 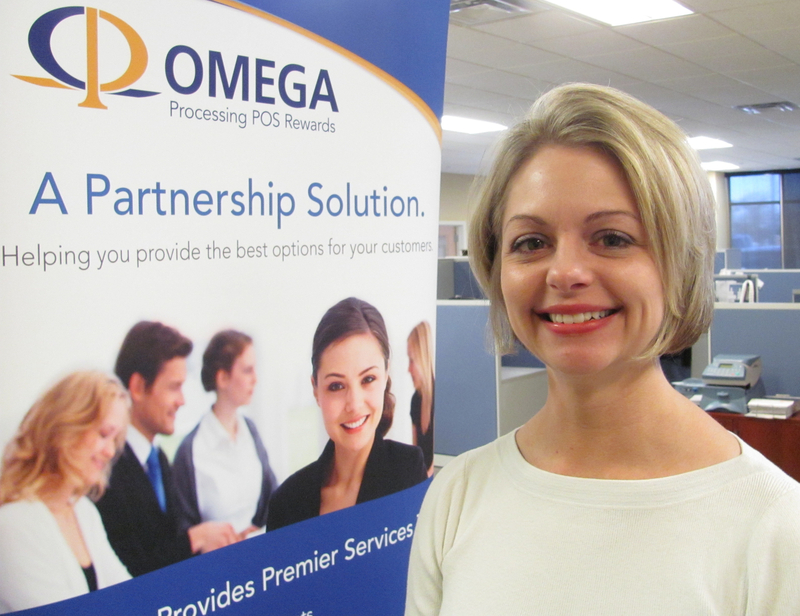 [FORT THOMAS, Kentucky — September 1, 2016] OMEGA Processing Solutions is pleased to announce that seven-year OMEGA veteran, Caroline Ok, Merchant Underwriting and Risk, has earned the designation of ETA Certified Payments Professional (CPP), the professional certification program administered by the Electronics Transactions Association. By successfully meeting the ETA’s rigorous certification examination requirements, she has joined an exclusive community of electronic transactions professionals who have earned this distinguished certification. The ETA CPP program sets the standard for professional performance in the payments industry and is a symbol of excellence. It signifies that an individual has demonstrated the knowledge and skills required to perform competently in today’s complex electronic payments environment. The ETA CPP certification program was launched in 2011 as a means to recognize the unique skills and knowledge required of electronic transactions professionals. The program recognizes that today’s merchant service providers must have a broad knowledge of the industry and must demonstrate mastery not only of sales, but also pricing and interchange, business process, operations and workflow, products and solutions, as well as risk, regulatory, compliance and security matters. In addition to meeting the program’s education and experience requirements, those awarded the ETA CPP designation must complete a minimum of 36 hours of industry-related professional education every three years. Founded in 2003, OMEGA Processing Solutions offers electronic payments processing, B2B and e-commerce solutions, mobile payments, point-of-sale system integration, short-term capital funding and gift card programs to thousands of businesses across the United States. OMEGA has an A+ rating from the Better Business Bureau and is a member of the BBB Center for Marketplace Ethics. OMEGA Processing Solutions has made four recent appearances on the Inc. 5000 List of America’s Fastest Growing Companies. For more information, please visit www.omegap.com or call 866.888.9724. Daena Sprafka of OMEGA Processing earns prestigious ETA Certified Payments Professional (ETA CPP) designation. Based in Washington, D.C., the Electronic Transactions Association (ETA) is the premier trade association for the global electronic payments industry. OMEGA Processing Solutions is pleased to announce that Director of Merchant Services Daena Sprafka has been granted the designation of ETA Certified Payments Professional (CPP), the professional certification program administered by the Electronic Transactions Association. A 10-year veteran of OMEGA Processing and the payments industry, Sprafka leads the company’s Merchants Services Division. The ETA CPP designation signifies that an individual has demonstrated the knowledge and skills required to perform competently in today’s complex electronic payments environment. Recognizing the need for today’s payments professionals to have a broad-based knowledge of the industry, the ETA launched the certification program in 2011. “By achieving the ETA CPP designation, Daena brings to OMEGA the highest level of expertise and distinction in our industry,” says Todd McHugh, President of OMEGA Processing Solutions. The ETA CPP certification was developed with the assistance of subject matter experts in operations, risk and sales. The rigorous 125-question test covers six domains, including sales, risk, pricing/interchange, operations/workflow, products/solutions, and security/compliance. A candidate must be a one-three year industry veteran in order to be able to sit for the exam. Those who are awarded the ETA CPP certification must agree to complete a minimum of 36-hours of industry-related continuing professional education every three years. The commitment shown by OMEGA and its employees to the ETA CPP certification signifies the company’s dedication to industry excellence and increased customer satisfaction. If you want to benefit from partnering with a payments industry professional, contact OMEGA Processing today [www.omegap.com, or (866) 888-9724]. 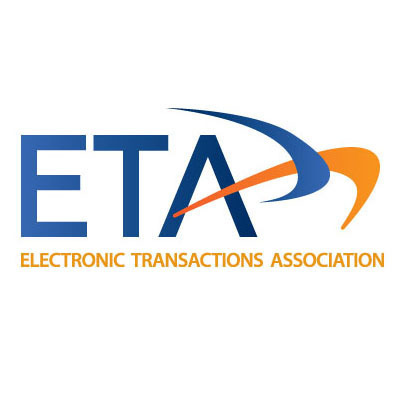 Based in Washington, D.C., The ETA is the premier trade association for the global electronic payments industry, representing more than 500 companies that offer electronic transaction processing products and services. How can @OMEGAProcessing help you? ~ This Is My OMEGA: OMEGA Processing Solutions celebrates 10-Year Anniversary Mark with $1.5 Billion in Annual Payments Processing, expanded Data Center and National Network. Welcome, won’t you please, Todd McHugh of OMEGA Processing Solutions. “At the end of the day, that’s sort of what it all is,” said McHugh, president of OMEGA Processing Solutions (http://www.OMEGAP.com), referring to the “trust” factor, and what it takes to grow to be a $1.5 billion payments processor. Mr. McHugh was reflecting on the 10-year anniversary of OMEGA Processing, detailed in a Press Release on the company blog. “People trust us to get that right, and to make sure that money gets moved where it’s supposed to, gets deposited quickly, reliably and securely,” McHugh said. “Security is a big issue. We all see stories in the news, of people getting breached and comprised, and data security. A perennial Inc. 5000 company (http://www.inc.com/profile/omega-processing-solutions), OMEGA Processing has grown from a 2003 startup staffed by only McHugh, and his partner, CEO Scott Anderson, and a single employee, Daena Sprafka, now the Director of Merchant Operations at http://www.OMEGAP.com. “There are a lot of things that differentiate a company. I think, for us, it’s largely, when you think of OMEGA, there’s the old IBM saying, ‘Nobody ever got fired for choosing IBM.‘ I like to think OMEGA as a lot like that,” McHugh added. “If you choose us, you know you’re going to get a reliable company that moves money, that protects your money. It’s secure, and you’re gonna deal with world-class people that are going to take care of you. “We started off largely as a sales organization. We added Customer Service in-house, we added Risk in-house, we added Underwriting in-house, we added all of our Deployment in-house, so now we do everything here,” he said. McHugh, Anderson and Sprafka welcome the world to engage with OMEGA Processing. For more information, please call (866) 888-9724, visit http://www.OMEGAP.com, follow OMEGA on Twitter at @OmegaProcessing, or send Scott, Todd or Daena an email at scotta@omegap.com, todd@omegap.com or daena@omegap.com. “It’s really just about the people, and having good people, that you can trust, that really take their job to heart, and really enjoy what they do,” McHugh concludes.